How much do SEC Championship suites cost? 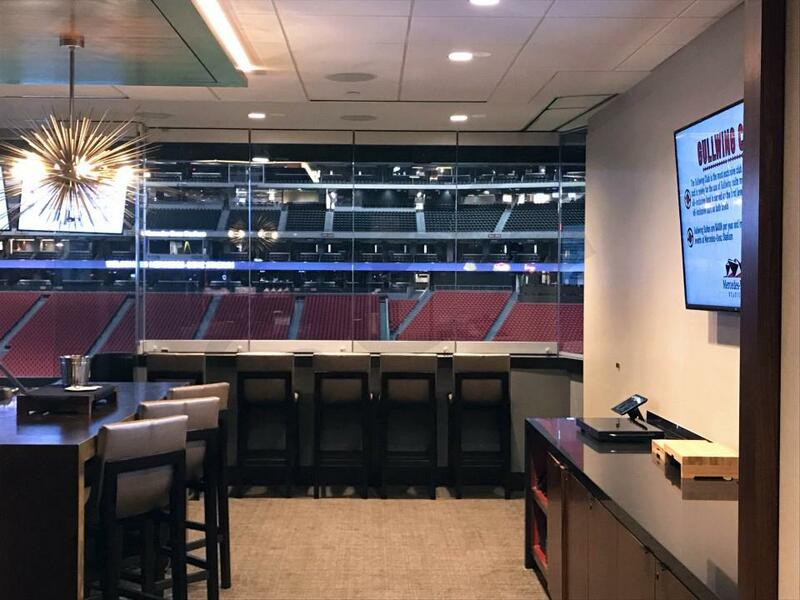 Prices for fully private suites at the SEC Championship game are anticipated to range from $20,000-$45,000 depending on suite level, suite location and suite size. 100 Level Suites can accommodate groups of 16 - 22 guests. This suite level wraps around the field at Mercedes-Benz Stadium, offering views from every vantage point. VIP parking passes are included to enhance your experience. 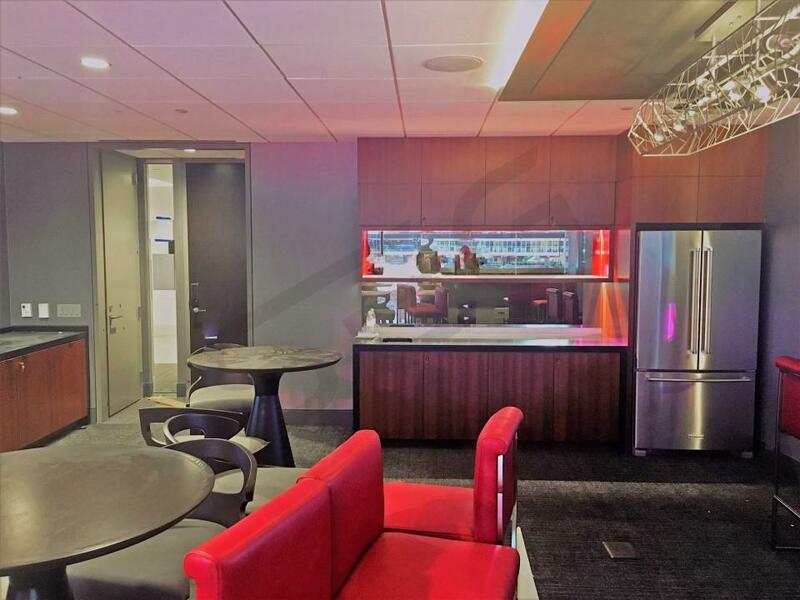 Falcons suites will also feature private restrooms, HDTVs, Wi-Fi, wet bar and premium in-suite catering options. Guests with suite tickets will also get exclusive access to the VIP suite lounge. Falcons 200 Level Suites at Mercedes-Benz Stadium include 23 tickets and 5 VIP parking passes. Suites will feature HDTVs, Wi-Fi, private restrooms, wet bar and premium in-suite catering options. 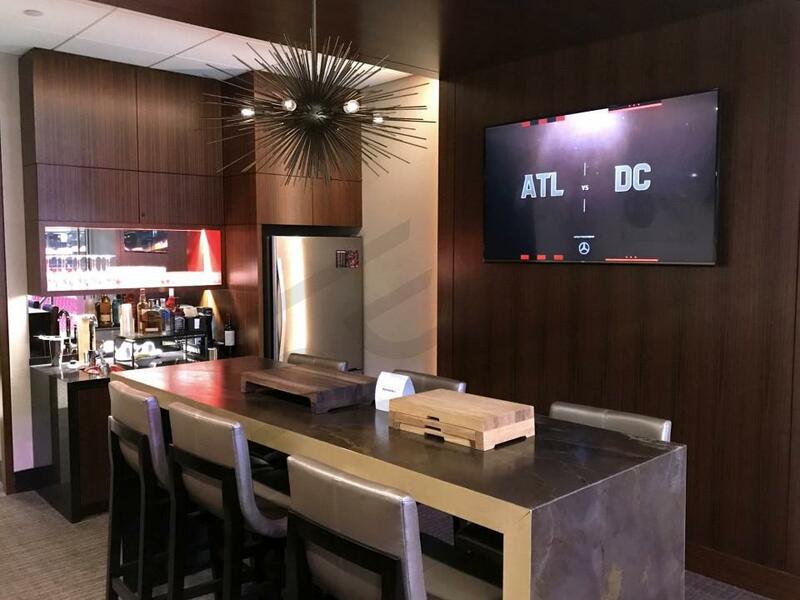 With a Falcons suite ticket, guests will also gain entry into Mercedes-Benz Stadium premium club areas. 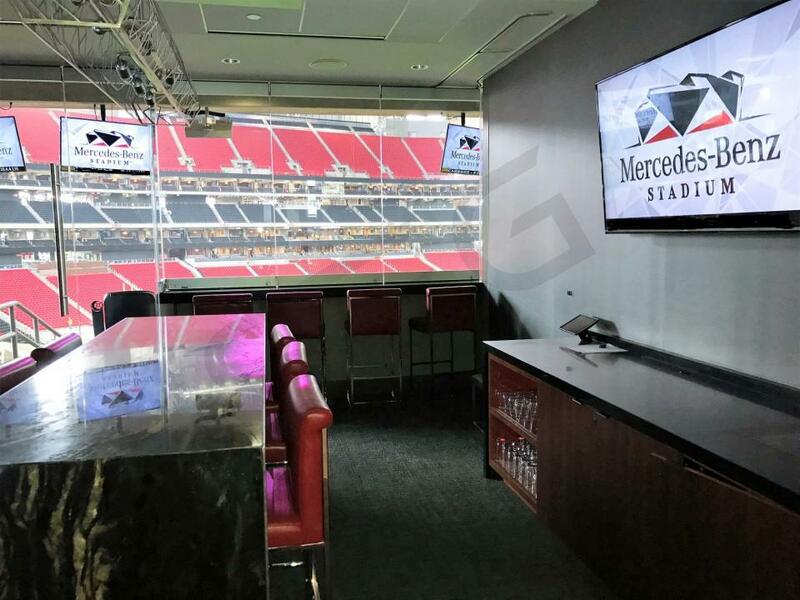 There are 16 Field Level suites at the Mercedes-Benz Stadium, with 8 of these suites located behind each end-zone. These are by far the closest suites to the field and offer a unique and exciting perspective of the action. Field Level Suites feature three rows of six plush leather seats just outside of the Field Suite; the seats are raised about 6 ft. above field level to provide a great vantage point. Field Level Suites are some of the most spacious suites at Mercedes Benz Stadium. 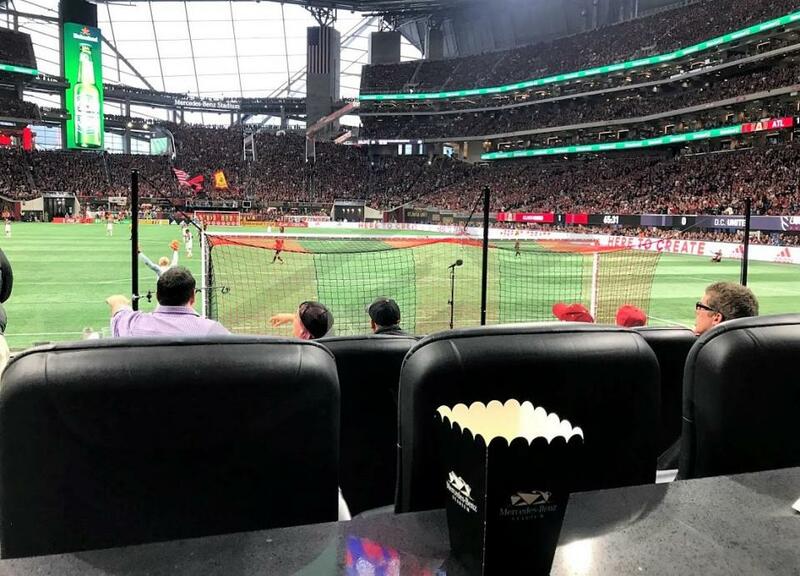 Loge Boxes offer some of the best views in Mercedes Benz Stadium. 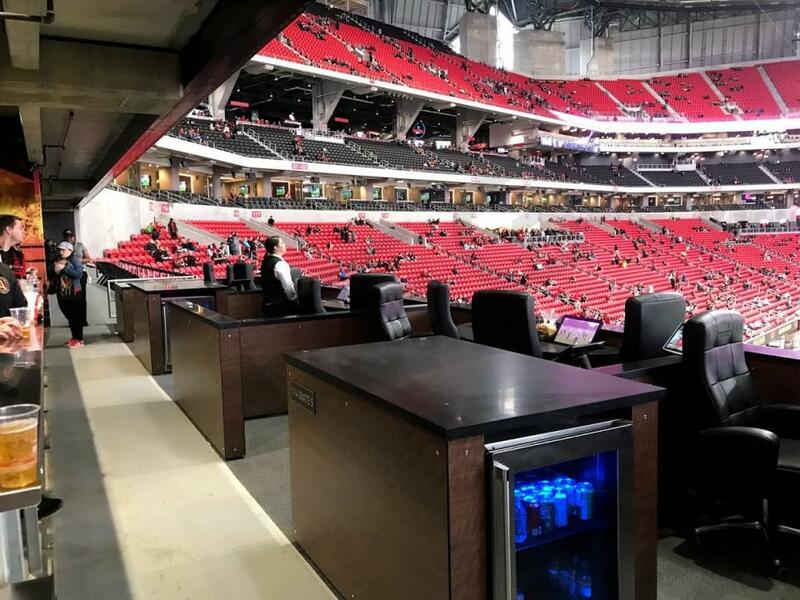 Located in the back section of the lower bowl and just below the 100-Level suites at Mercedes Benz Stadium, Loge Boxes will seat 4-6 guests in a semi-private environment. Loge Boxes come with all-inclusive food and beverage served in the neighboring AMG and SunTrust Clubs. 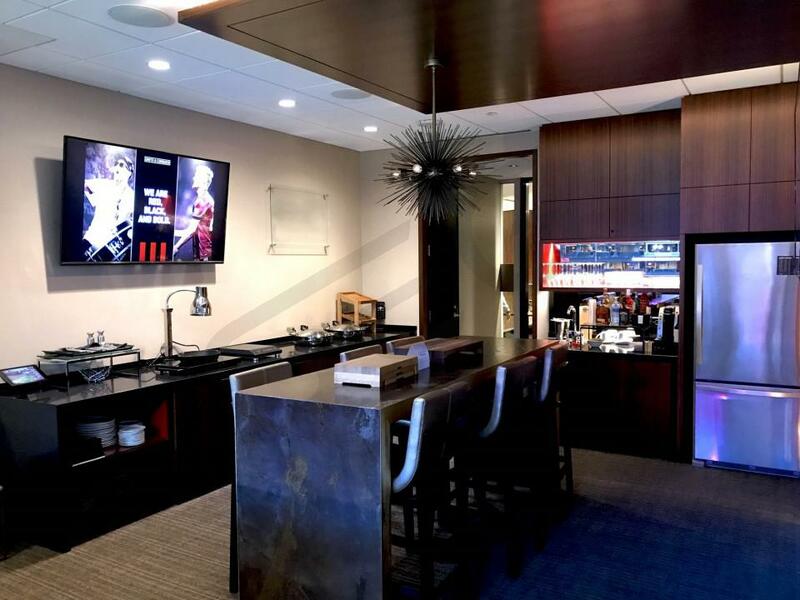 Loge Boxes feature built-in HDTV's, iPad's, charging stations, and counter and storage space. 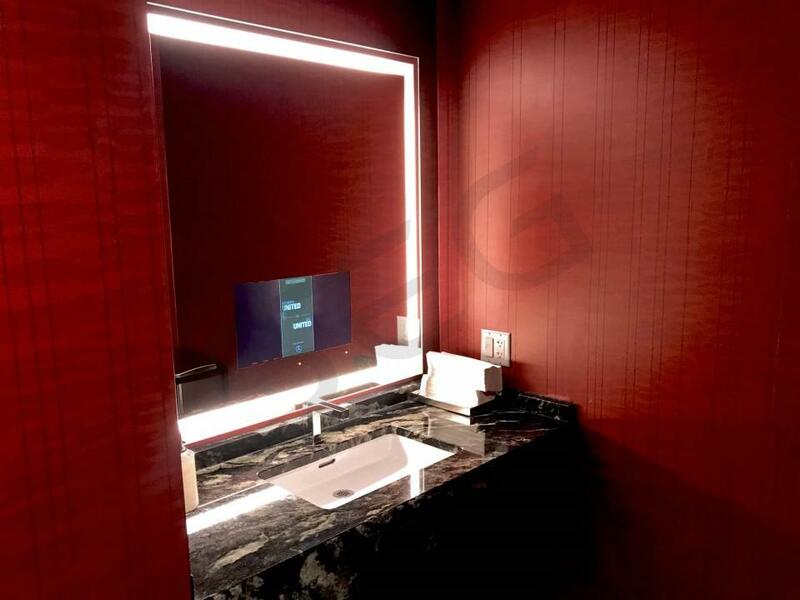 Gullwing Club Suites are the most exclusive suites at Mercedes Benz Stadium. They are also referred to as Owners Suites. Gullwing Club Suite ticket-holders have access to a high end stadium club called the Gullwing Club. The Gullwing Club is two-stories and features 3 all-inclusive bars as well as an upscale food served buffet style. Centennial Suites are centrally located on the visitors side of the field, above the lower bowl. There are only 10 Centennial Suites in total, making this suite level very exclusive. Centennial Suites vary in configuration, but most will accommodate 23-27 guests. All Centennial Suites come with VIP parking passes, use of a private VIP entrance, premium in-suite catering options, and a private in-suite restroom. 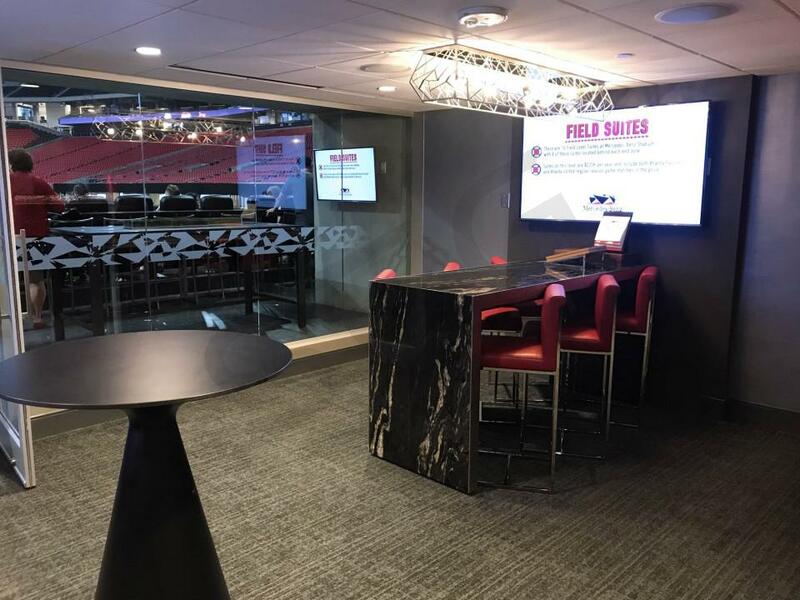 In this section we’ve compiled key considerations for planning your next group event in a suite at Mercedes-Benz Stadium. 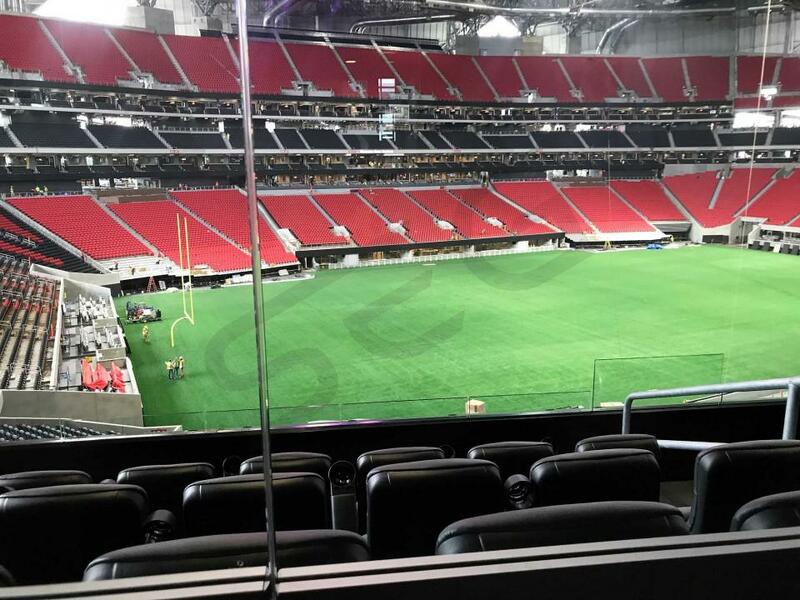 Mercedes-Benz Stadium has 5 different suite levels. Suite capacities range from 16 guests to 26 guests. 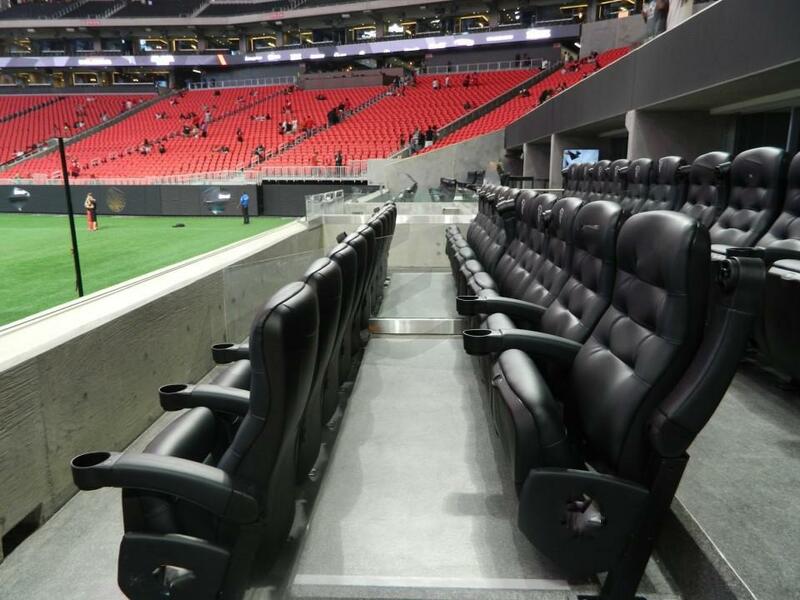 Additionally, Mercedes-Benz Stadium offers a Loge Box option containing 4 to 6 seats in a semi-private environment. Loge Boxes are located at all four corners of the stadium just above the 100-level general seating sections. Loge Boxes are perfect for small group outings. 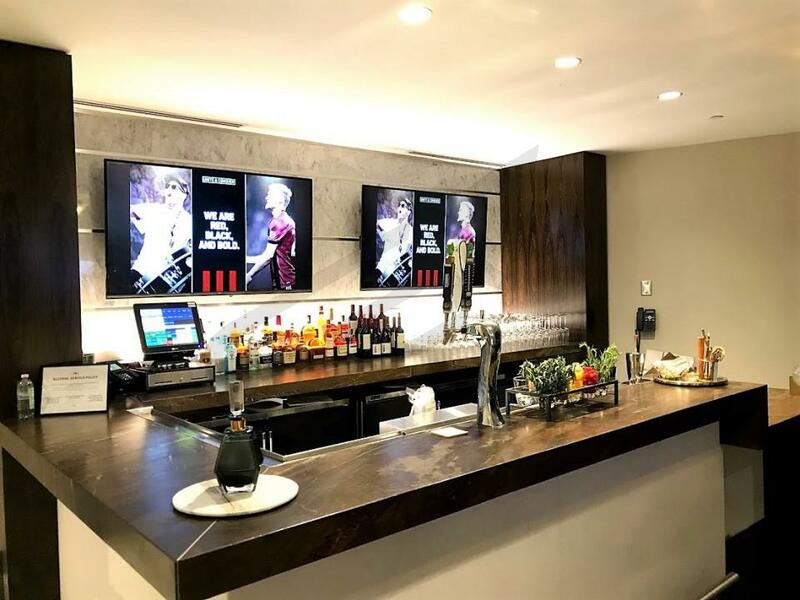 Suite pricing for at Mercedes-Benz Stadium varies widely by event. 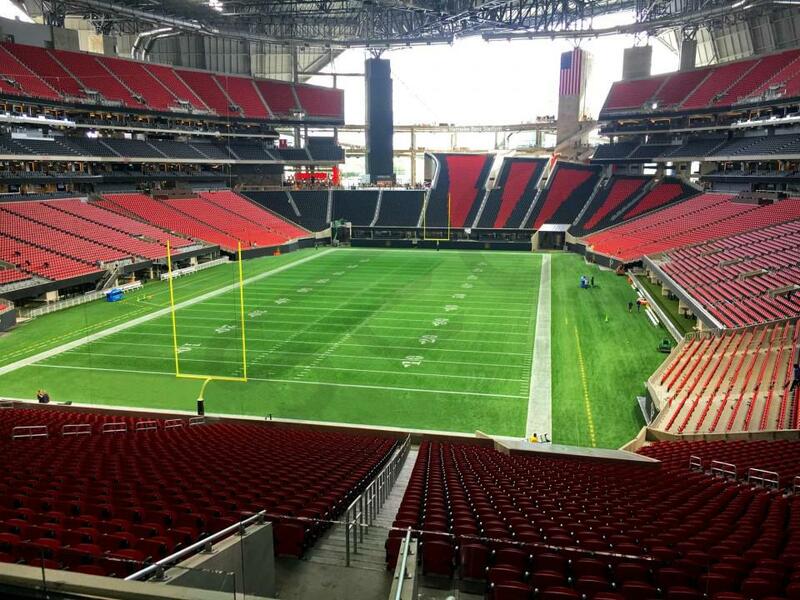 Atlanta Falcons suite pricing depends on opponent, day of the week and suite level/location. Full private suite rentals typically range from $13,000-$35,000 depending on the aforementioned factors. Third-party events such as the Supercross can start as low as $5,000 per suite. Suite prices for concerts will also vary widely. Suite Experience Group can help you determine which events will fit into your budget. 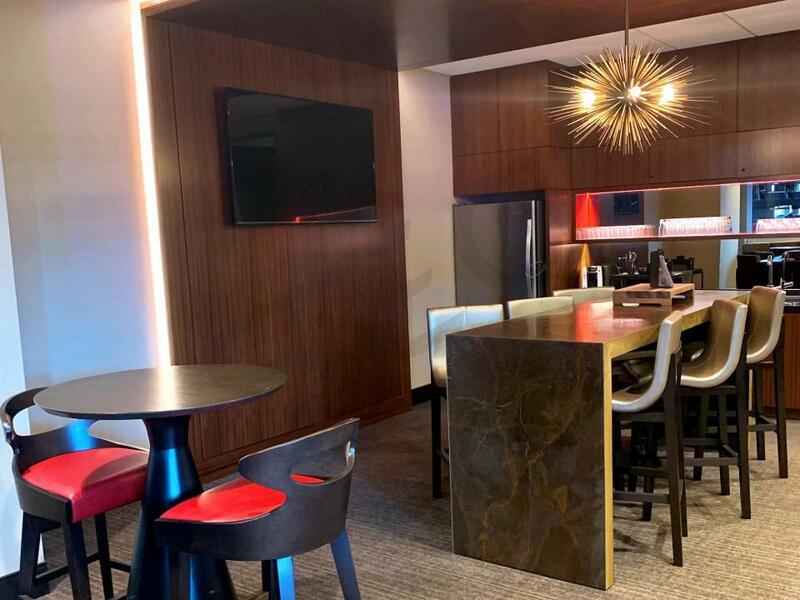 In-suite catering is available in all suites at Mercedes-Benz Stadium. Guests will be able to order at their discretion from the full suites menu. The suites catering menu at Mercedes-Benz Stadium includes a wide range of food and beverage options provided by Levy's Catering. 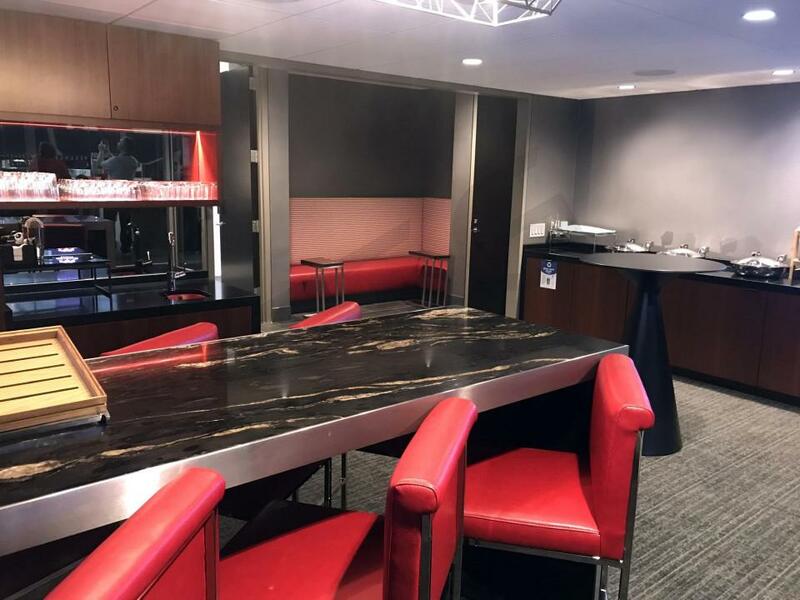 Most suites at Mercedes-Benz Stadium do not include catering in the base price of the suite, so be sure to allocate additional funds if you would like to have your suite catered. 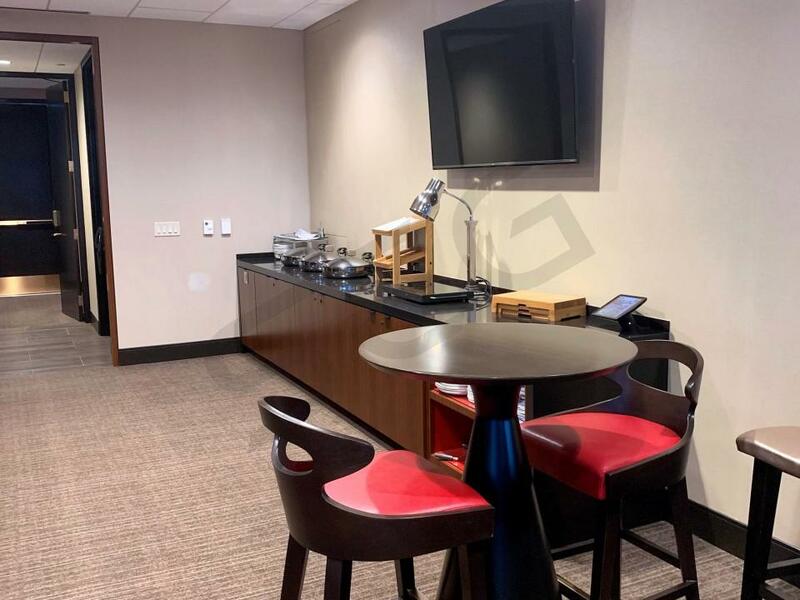 The average Suite Experience Group client at Mercedes-Benz Stadium spends between about $100 per person on in-suite catering, however, there is no catering minimum. 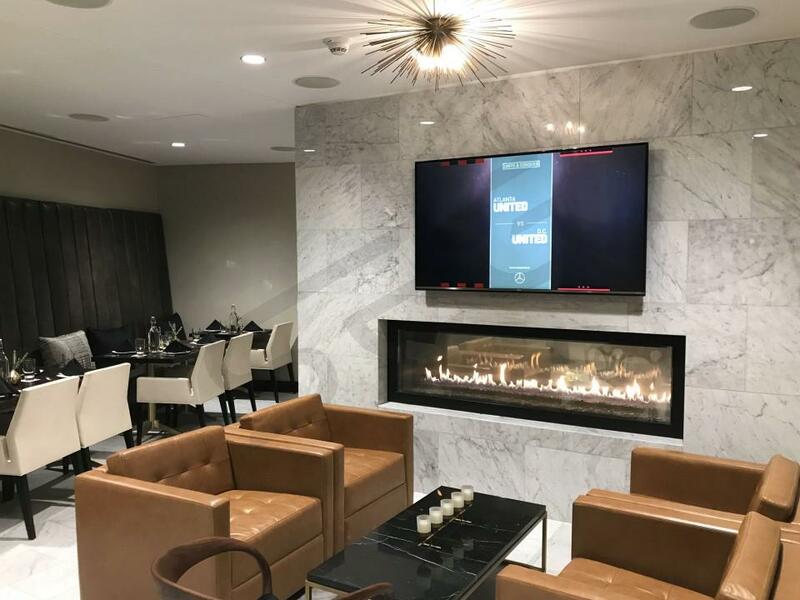 Suite Experience Group will provide the Mercedes-Benz suite catering menu and can advise on the appropriate budget and catering order for your group. SunTrust Club – located on field level, along one sideline, this club is exclusive to members. Ticket-holder will have great views of the home and visiting team players tunnel through floor-to-ceiling windows located in the private dining space. 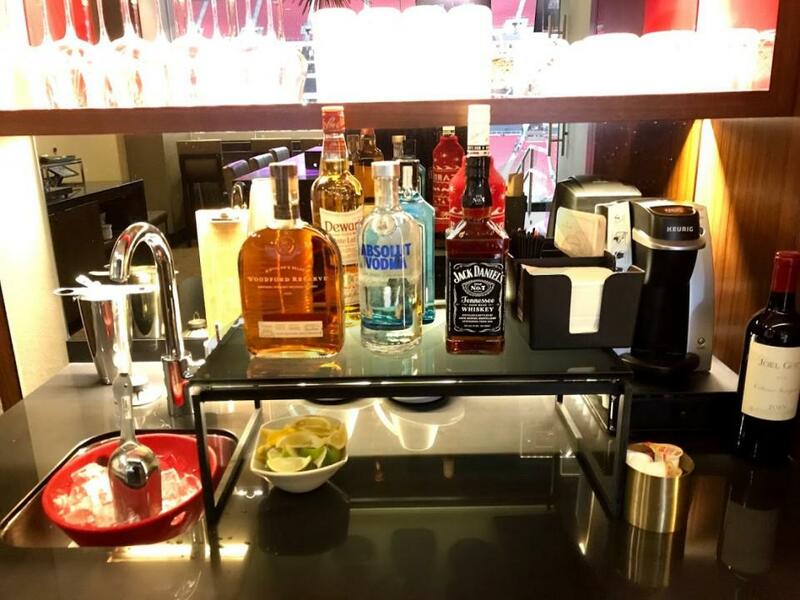 The SunTrust Club comes inclusive of food and beverages. AMG Club – the AMG Club is a subsection of the larger, Mercedes-Benz Club. Also located on field level, this club is private to AMG Club ticket-holders or Loge Box ticket-holders. The AMG club is all-inclusive of food and beverage and can be access by entering the Mercedes-Benz Club. 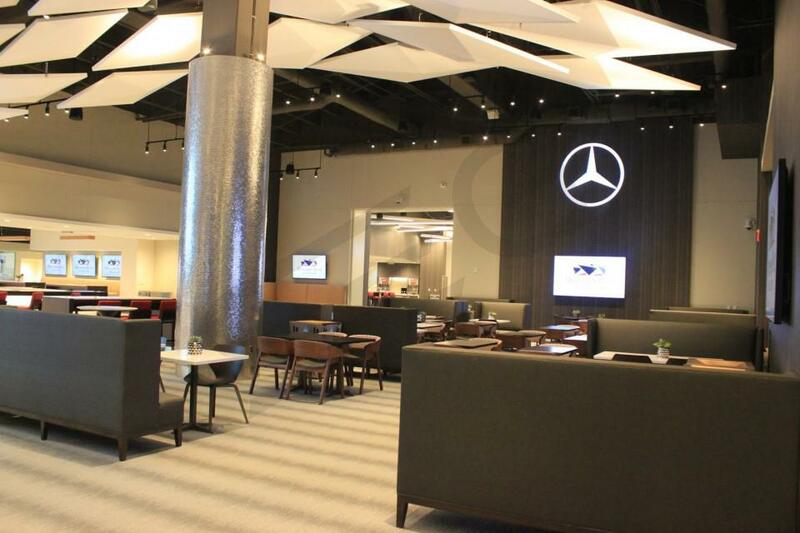 The easiest way to access the Mercedes-Benz club is to enter through Section 112. Present your ticket to the user and guests will walk down the 112 Section and follow the stairwell under the stadium. 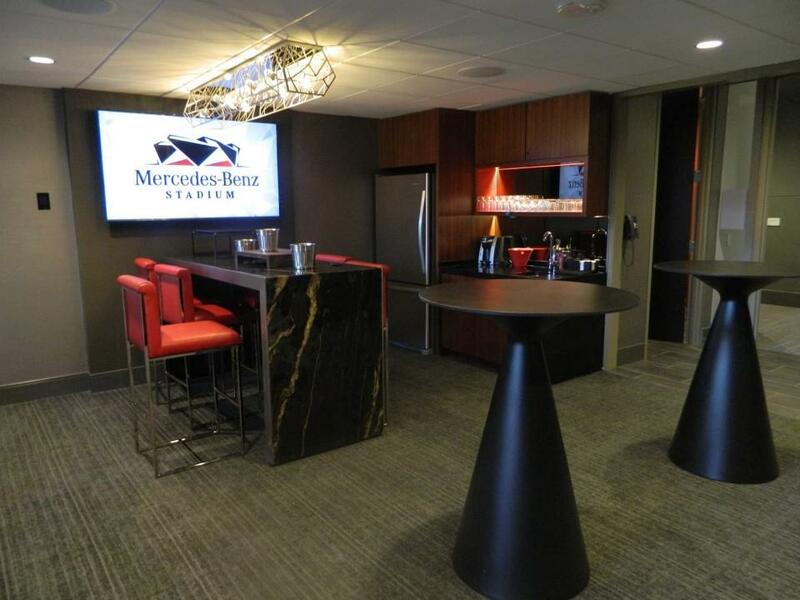 Mercedes-Benz Club– located at field level, the Mercedes-Benz Club also provides viewing access to the players tunnel. 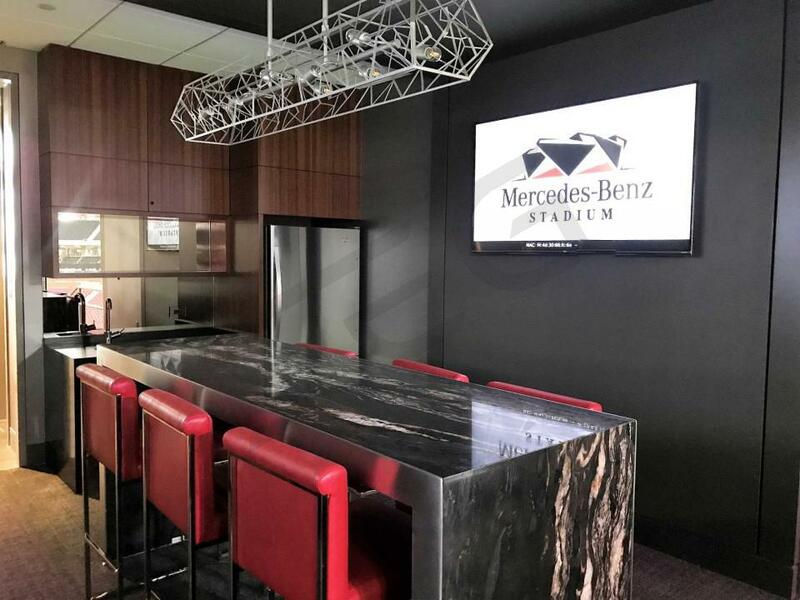 The Mercedes-Benz Club features a number of cash bars and food areas. The Mercedes-Benz Club is reserved for suite ticket-holders and club seat ticket-holders The Mercedes-Benz club features on-field patio viewing access, lounge seating, private bars and restrooms. 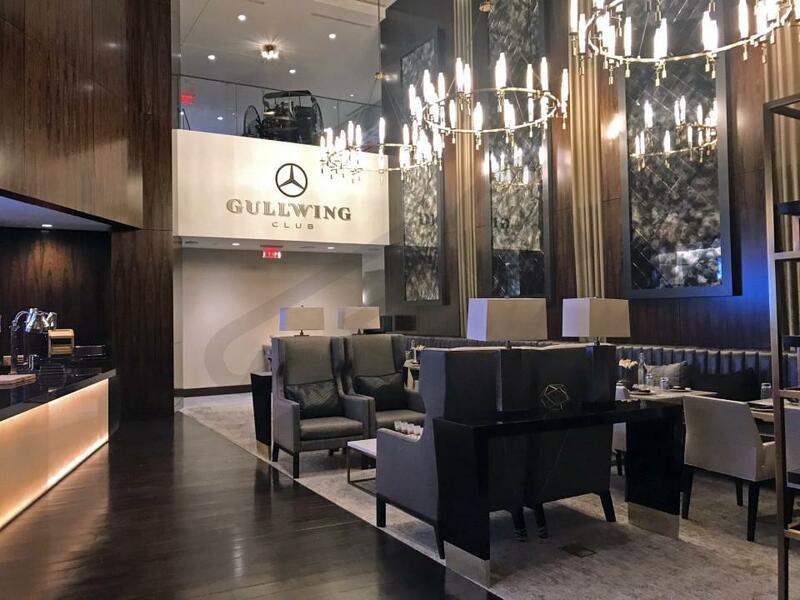 Gullwing Club– Located on the Centennial 100-Level Suite area, there are only a handful of “Gullwing Club Suites” that provide access to the Gullwing Club. 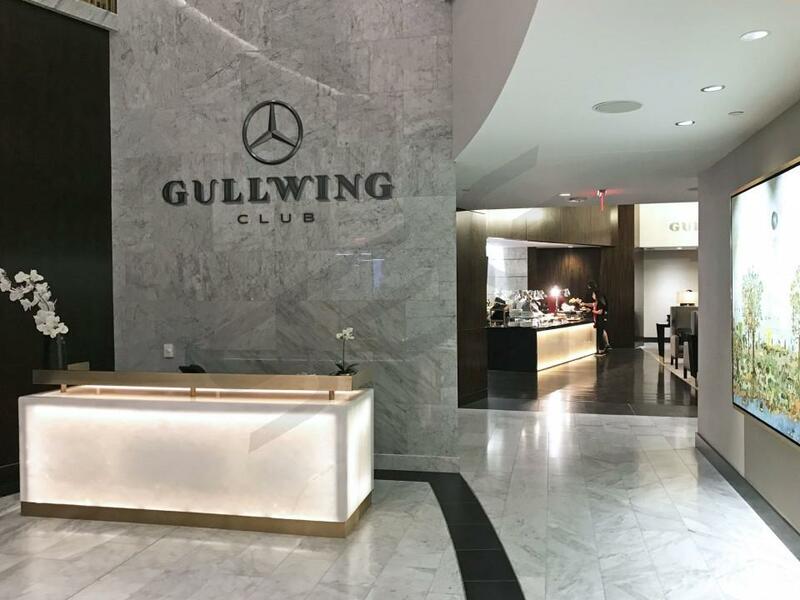 The Gullwing Club is the most exclusive area on suite level; it is heavily guarded by security and provides all you can eat food and drink for the lucky few who gain admittance. The Gullwing Club consists of two levels, with suites, bars and restaurants occupying both levels. All-inclusive food is served upscale buffet style on the first level. Adjacent to this restaurant/lounge area is a full-service all-inclusive bar. Guests can either take stairs or an elevator up to the second level of the Gullwing Club. On the second level, guests will find more suites and 2 additional full-service bars surrounded by lounge seating and fireplaces. 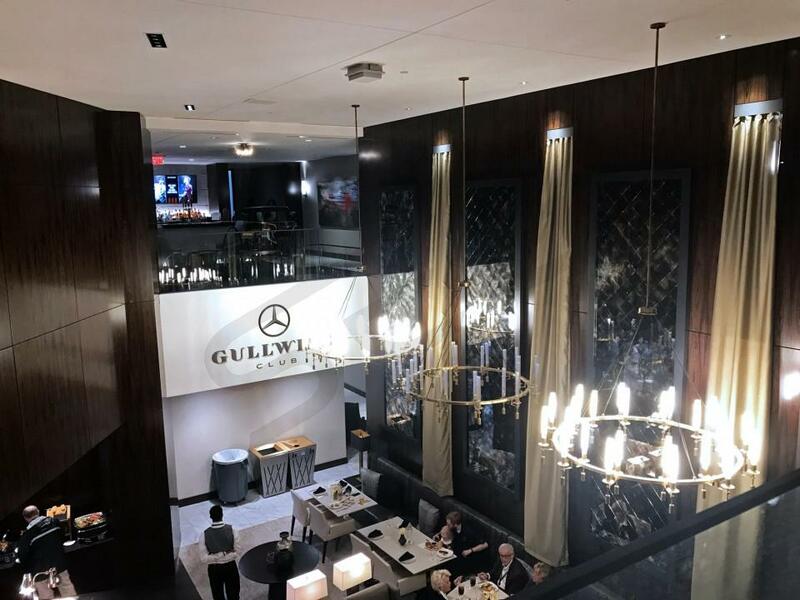 The Gullwing Club is the ultimate luxury experience at Mercedes Benz Stadium. 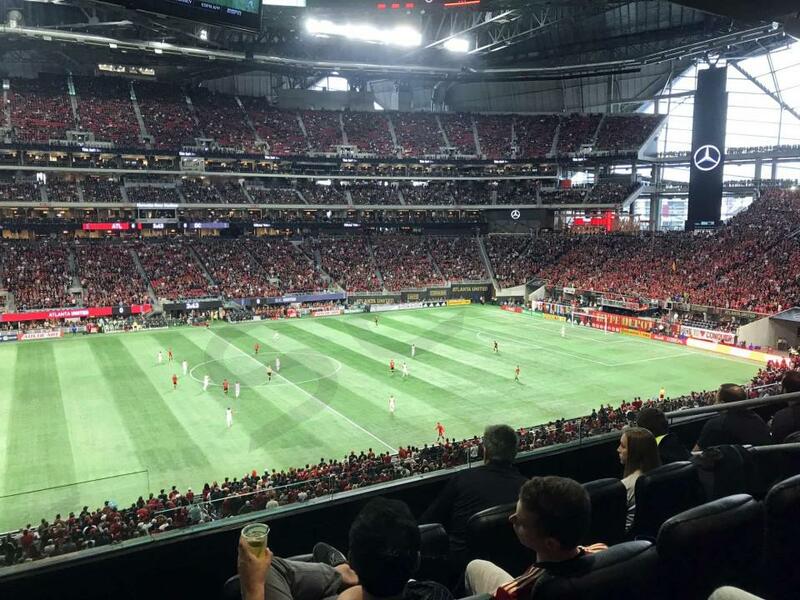 Mercedes-Benz Stadium has adopted a fully mobile ticketing policy. 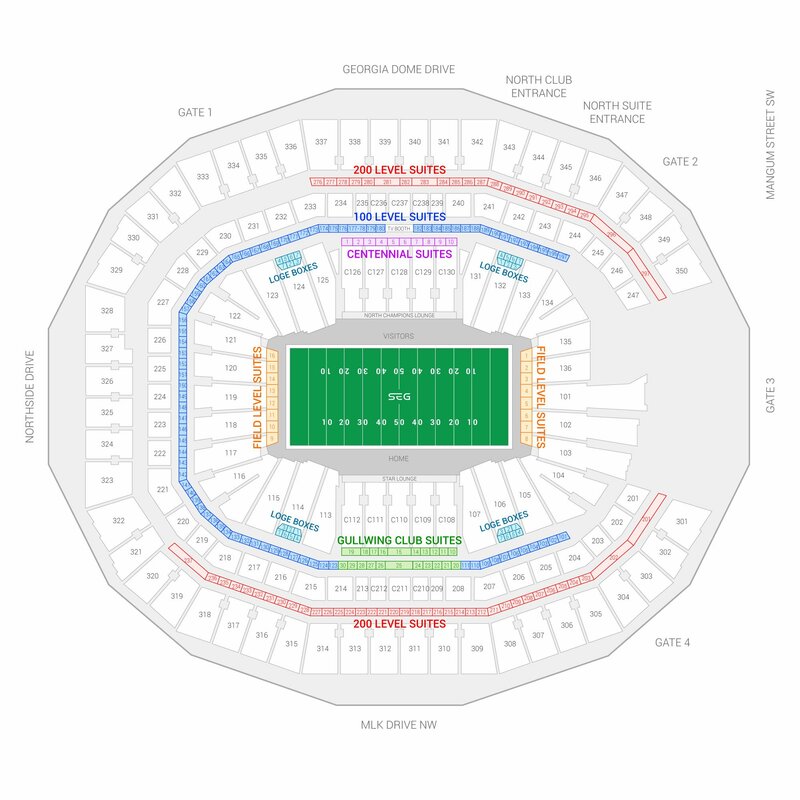 The stadium does not issue hard-stock tickets or printable electronic PDF's. What does this mean for you? 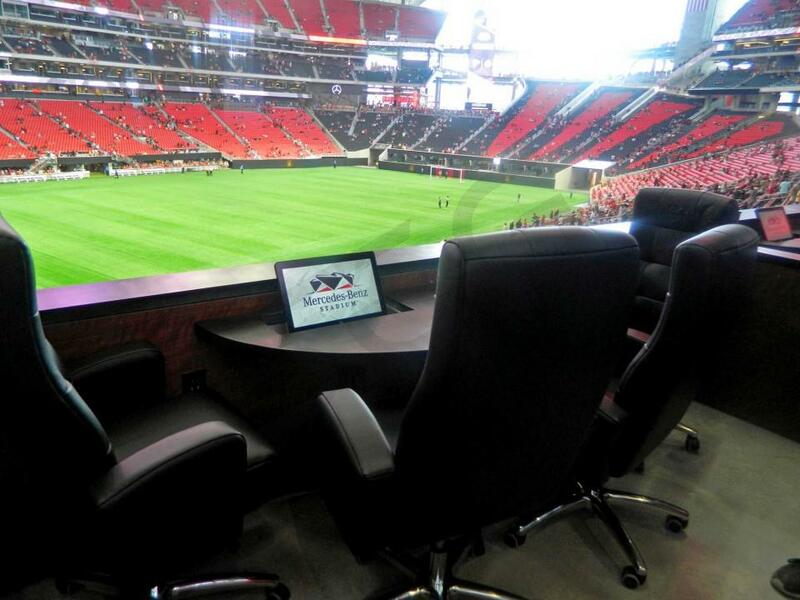 For guests to enter the venue, they will need to display their mobile ticket barcode that can be stored either on the Ticketmaster app, a Ticketmaster mobile browser, or team-specific app (Atlanta Falcons or Atlanta United; each team has their own mobile app). Suite tickets can be transferred electronically to guests and guests can choose their preferred medium for displaying the ticket upon entry. To receive a mobile ticket transfer, you will need to create a Ticketmaster account. Once created, you can download or use any of the above applications to view/store your mobile ticket (barcode). Mobile tickets are scanned via electronic turnstiles upon entry. Mercedes-Benz Stadium has plenty of mobile ticket experts located outside of the venue to assist with any ticket-related questions. These experts are easily identifiable with yellow shirts reading, "mobile ticketing". There is no right answer here, and it ultimately boils down to what others in your group will be wearing. If it’s a corporate event, many guests will likely be dressed in business casual attire. However, it’s not uncommon for guests to wear jerseys of their favorite player, jeans, or even shorts on a hot day. The luxury suites at Mercedes-Benz Stadium are climate controlled and have a coat closet for storage. 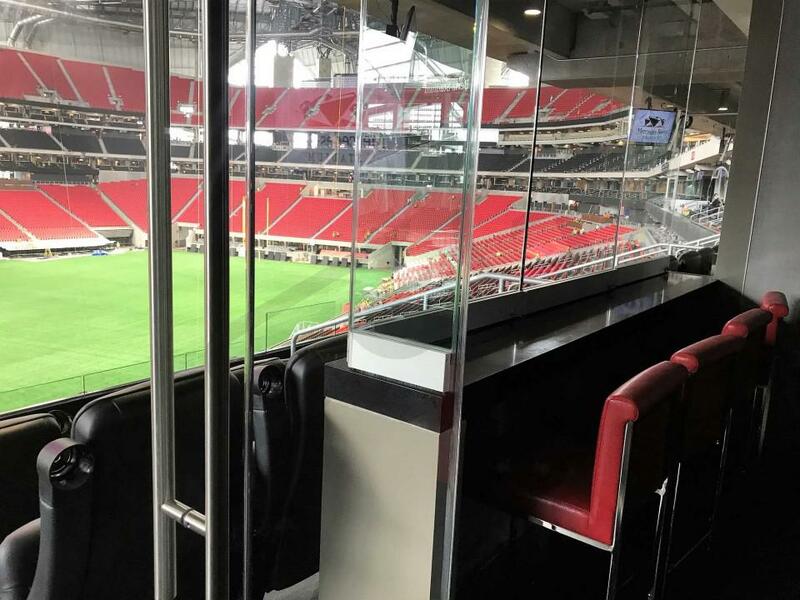 Suites at Mercedes-Benz Stadium come with VIP Parking passes. You can follow the directions on those passes to identify the best entrance for your particular suite. Larger groups wishing to travel to the stadium together often opt for a bus. Bus parking and drop-off logistics can be coordinated directly with the bus company. Passes in the Silver Garage provide a private entrance from the parking garage to both 100-Level Centennial Suites and Gullwing Club Suites. Parking lots typically open 3 hours in advance of Atlanta Falcons and Atlanta United games. This is generally the case for other secondary events at concerts at Mercedes-Benz Stadium as well. The 2018 SEC Championship game will be played between the Southeastern Conference's (SEC) top two teams on Saturday, December 1, 2018 at Mercedes Benz Stadium in Atlanta, Georgia. The SEC Conference is divided into two divisions; SEC East and SEC West. Each division is comprised of 7 teams. The winner of each division will play in the SEC Championship Game. Thank you for signing up for specials at Mercedes-Benz Stadium. Enter your email address below to stay in touch. We'll sign you up for our newsletter, which will inform you of the latest inventory and events at Mercedes-Benz Stadium. We promise we will never sell or distribute your information. The seating chart below shows where the SEC Football Championship suites at Mercedes-Benz Stadium are located.